Happy Birthday to the world's leading fashion magazine, Vogue. On this day in 1892, the very first issue was published to the world by Arthur Baldwin Turnure. It's amazing to see how far Vogue has come, from their first cover displayed below, to the most recent one shown next to it. Vogue has created an empire of culturally sophisticated women, not only delving into the world of fashion, but the universe around it. Vogue covers economic issues, world debates and even common human problems, such as eating disorders, over spending etc; Reaching over 18 countries, Vogue is widely accepted leader in the fashion and magazine industry. The largest issue ever published was back in 2007, the September issue. 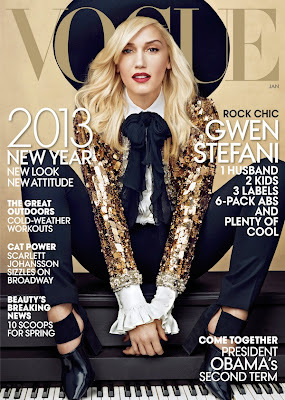 Starring Sienna Miller, this magazine contained over 840 pages jam packed with fabulous fashion. It was stated to weigh over 5 pounds! Talk about some serious fashion. One of Vogue's most controversial issues arose in 2008, over cover stars LeBron James and model Giselle Bundchen. 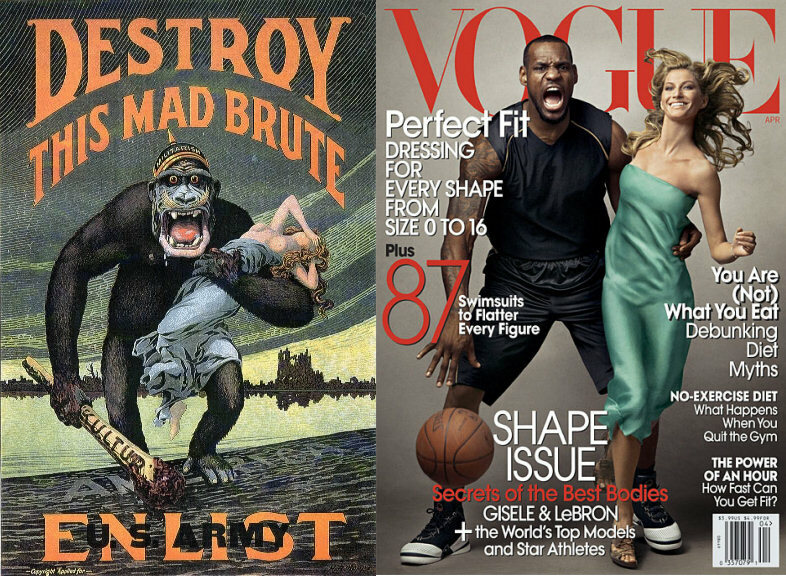 A racial debate over wether LeBron's territorial and aggressive stance was stereotypical and similar to that of the King Kong's and Fay Wray's pose sparked anger throughout the masses. Every buisness has their ups and downs and I think it can be universally agreed that Vogue has had stunning success. I can't wait to see what the future holds for this magazine and if there are any surprises in store. 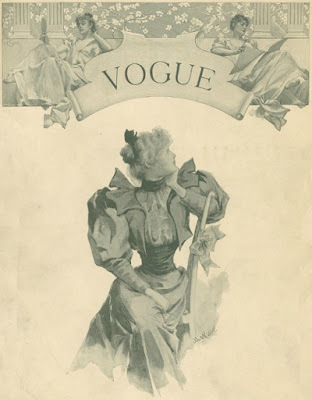 Happy Birthday Vogue!